I like giving my kids a bath. Especially when we stay in a hotel, where there’s a bath tub waiting to be filled so we can play with the suds and make bubbles. But on a daily basis, bath time has become a regular chore and as a mom, I oftentimes do it quickly. 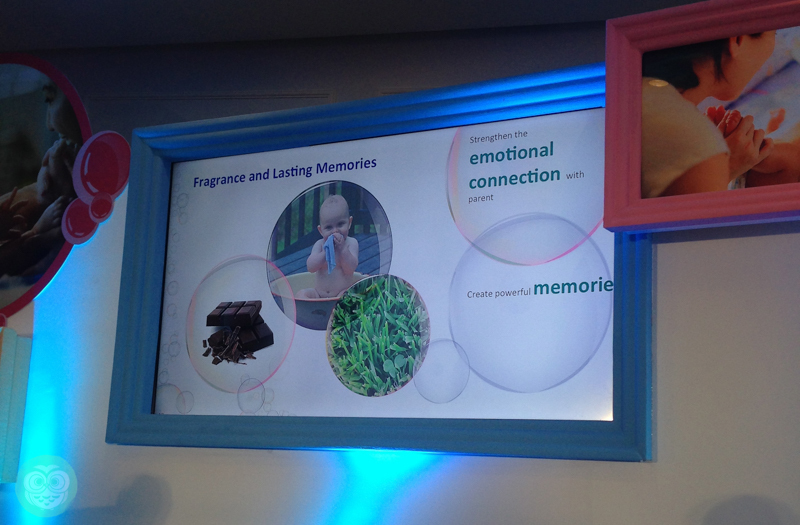 It wasn’t until I learned during the J&J event that there’s so much more to a bath than just cleansing. Did you know that giving your child quality bath time aids in his/her cognitive development? 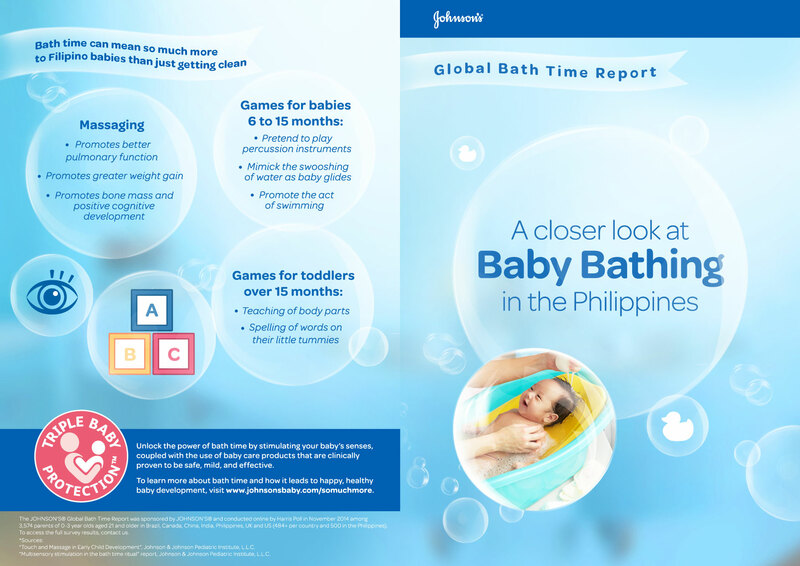 In the Philippines, 96% of parents believed that bath time is so much more than just getting their child clean while 45% do not see that it is extremely important for cognitive development. I honestly belong to the 45%. I guess this is one of the reasons why we love giving our kids short baths because we think it’s just a way of cleansing. 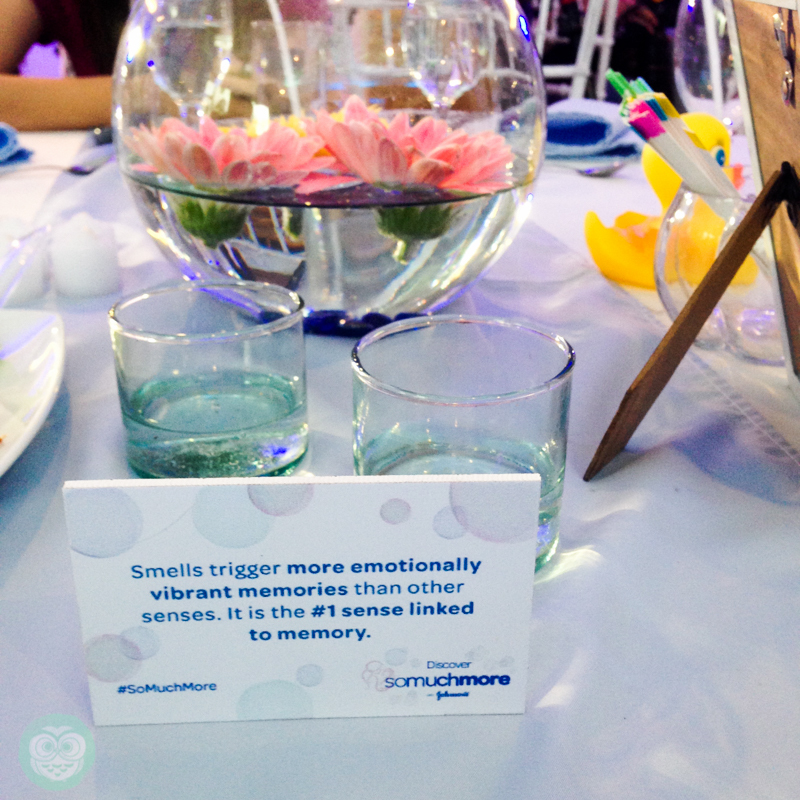 Through the event, I learned that smell & touch are the two senses that can enhance bath time. Touch being the most powerful tool to engage babies and children- whether to calm them or as an attention-getting stimulus. While pleasant smells on the other hand, have been found to improve the calmness, alertness and mood of babies. Just like hearing a familiar tune, a certain scent can bring so much memories, it’s actually the number one sense linked to memory. The host during the event was mother and J&J influencer, Rica Peralejo-Bonifacio. She briefly shared how fun yet challenging it is to be a first-time mom. Pleasant smells, particularly, when paired with the loving and caring interactions of a parent, can create positive and lasting memories that children will remember for a lifetime. Skin-to-skin contact helps to regulate an infant’s temperature, heart rate, and breathing, and it also stimulates a baby’s growth hormones. 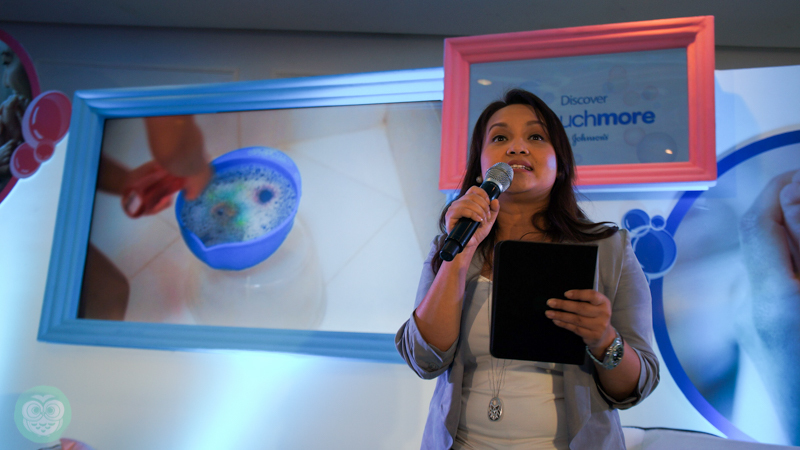 Tina Tanlapco, the Johnson’s® Marketing Manager, talked about how the brand is committed to paving a brighter future for Filipino babies through So Much More™. 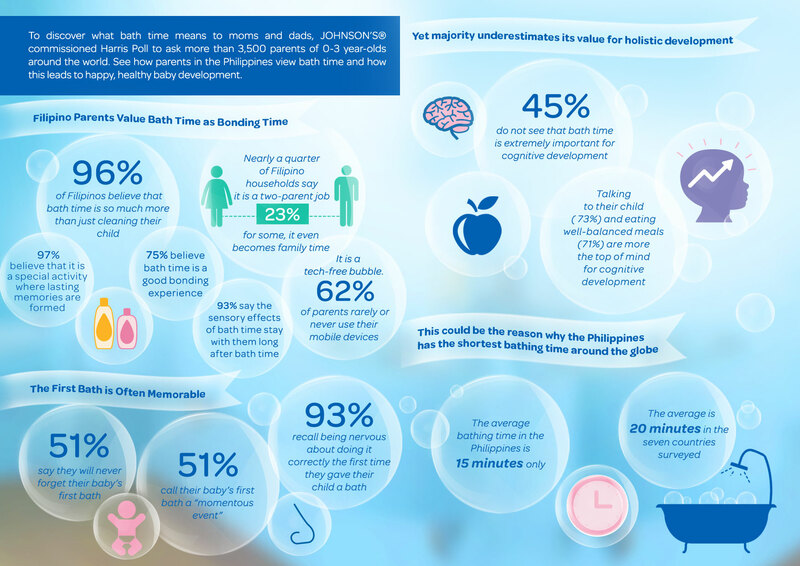 The So Much More™ campaign of Johnson’s® hopes to inspire parents to make bath time mean so much more and spend more quality time during bath time, not only to provide a delightful experience for a child, but to optimise those precious moments for their healthy development. 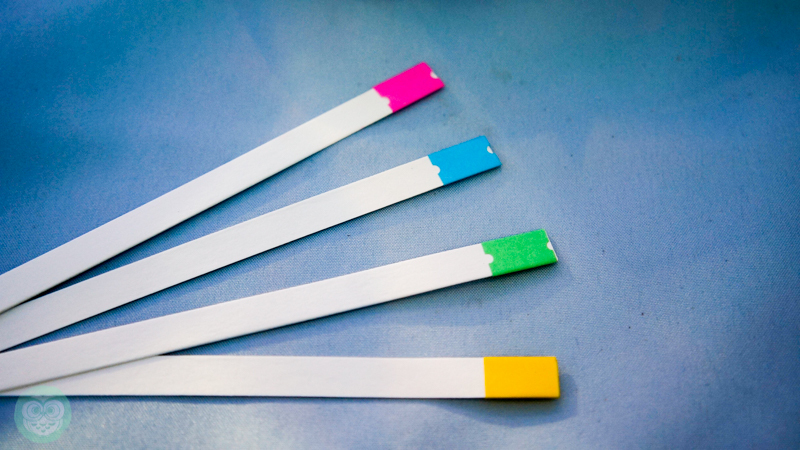 During the event we were asked to describe what feeling or moment we remember or associate with upon smelling the scents on these test strips. They smelled of powder, shampoo, grass, and crayons. Upon smelling all these, I was reminded of my childhood and of my children. Moments that reminded me during bath time and play time, both of which bring pleasant memories. A scent and a touch can really trigger an emotion, even one’s memory and this I’ve come to further understand. Thinking about how my kids and I do our bath rituals, I pause as I remember how much they love it when I give them a bath. I notice that my kids like it when I lather soap on them longer, giving them gentle massages on their scalp and body. They get a feeling of affection and security whenever I am the one who gives them a bath. For them, even bath time is quality time I get to spend with them. I also notice that my kids both have a keen sense of smell. They easily recognise if something smells wonderful or pleasant. I also observed that whether it’s a shampoo or a soap they’re much eager to take a bath, knowing that they’ll be lathering on products that are delightfully smelling. Speaking of touch, here’s a heartwarming video that brought tears to my eyes upon watching. It’s a beautiful story of a parent’s loving touch & intuition. After the informative and insightful event, I learned to appreciate my children’s bath time even more. I wake them a few minutes earlier so I can give them longer baths and enjoy some fun lathering & bubble making in between. It’s another simple yet rewarding time I get to spend with them. Something I hope we all get to look back and bring us joy as we remember these moments.